Hi loves! Hope everyone is having a good year, if you love makeup that's cute, dainty stay with me this entire post. 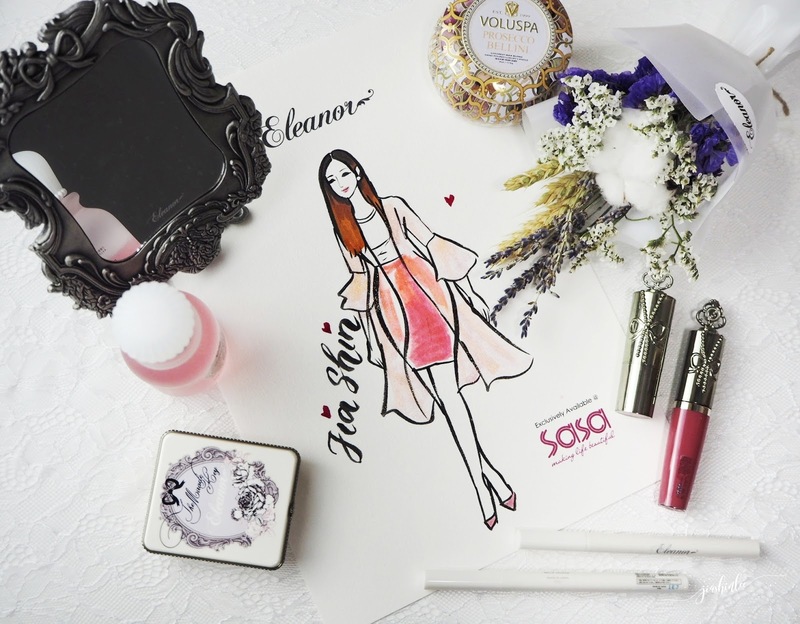 I'll be sharing about a new exclusive cosmetic brand that recently launched at Sasa Malaysia - Eleanor. 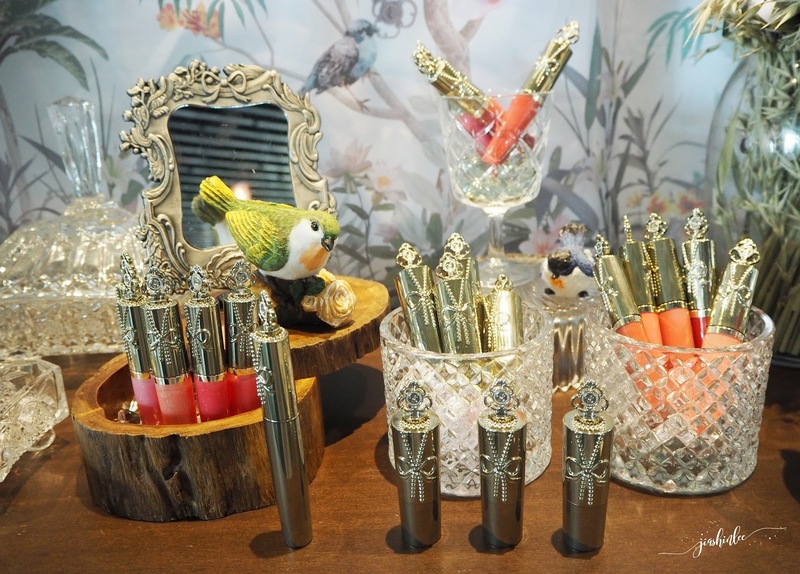 With the motto of “being Beautiful never goes out of Art”, Eleanor is designed to integrate “makeup” with “art aesthetics” and introduce a brand new cosmetic experience to women. The brand believes that every woman’s inner thirst for beauty breeds art. 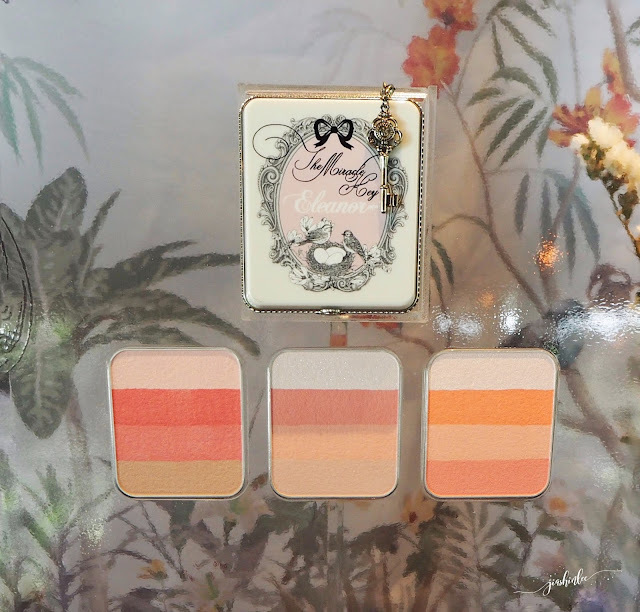 With this belief and the inspiration by art, the brand created beauty products to help women transform to be a muse of charm, and unveils their inner artistic sense to craft their own beauty. 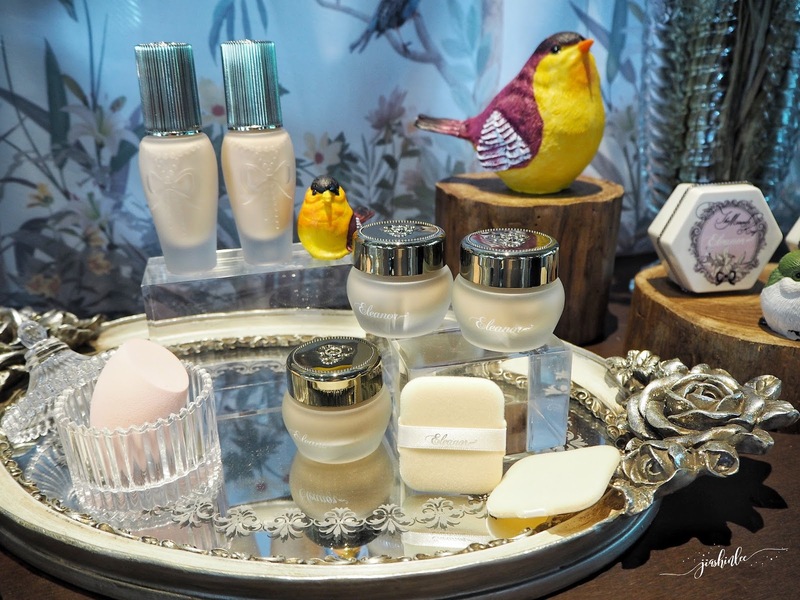 I was drawn to Eleanor packing to their products, it was love at first sight especially everything is just so princess-like and pretty and the counter designs make me feel like a girly girl when I was at their launch. 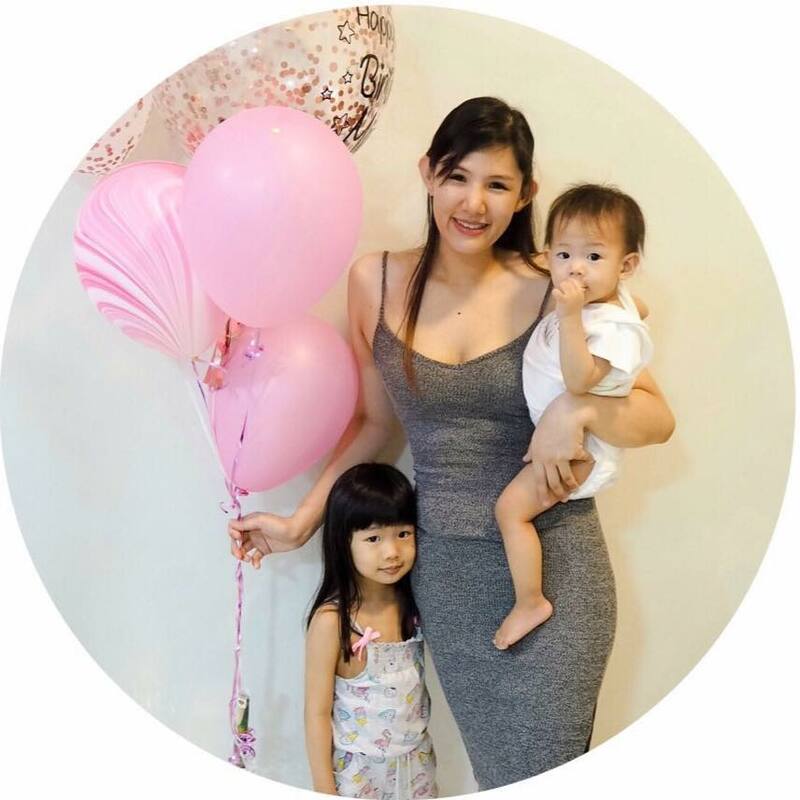 Eleanor made its debut to shoppers in June 2017with it's exclusive launch in Sasa Hong Kong and up now it is made available here in Sasa Malaysia across selected 20 stores nationwide. The Miracle Key Hydra Cream Foundation SPF18 PA++ comes in a jar, use a spatula and spread evenly on entire face with a sponge. Use the same color-based loose powder afterward to create a sheer look and The Miracle Key Hydra Liquid Foundation SPF20 PA++ is a high-tech foundation that transforms instantly from liquid to powder creating an all-day finish that camouflages imperfections and controls the secretion of sebum. The Miracle Key Crystal Lipstick comes in 8 different shades, the lipstick gives lips lustrous, all-day moisture and a protective veil that actually improves texture. The Miracle Key Creamy Lip Gloss also comes in 8 different shades, with a creamy texture and high-shine finish the gloss provides unstoppable wear and shine like coats of lacquer. 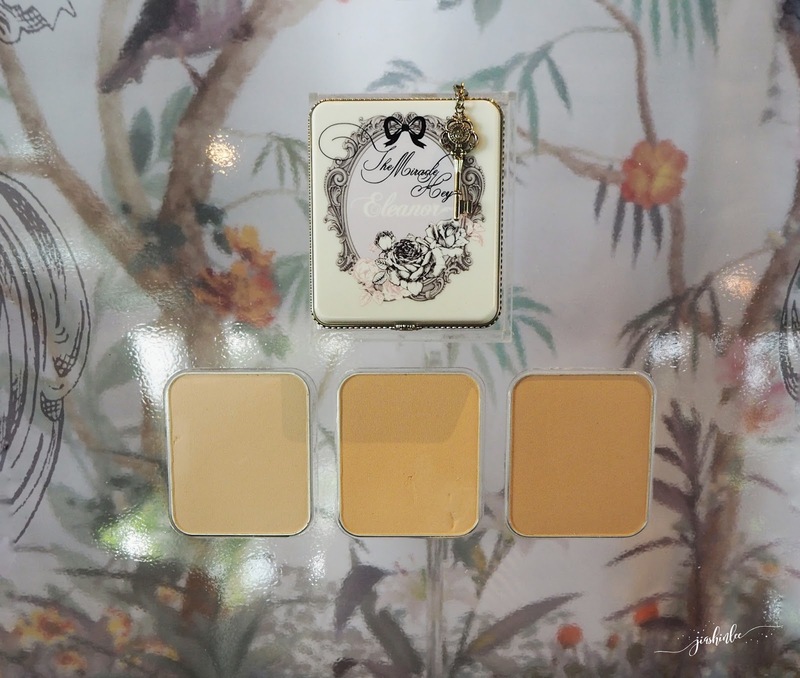 The Miracle Key 2-in-1 compact powder foundation glides easily over skin to provide a flawless, natural matte finish. Can be used as a foundation for medium, adjustable coverage or as a finishing powder over foundation for matte and perfect skin. 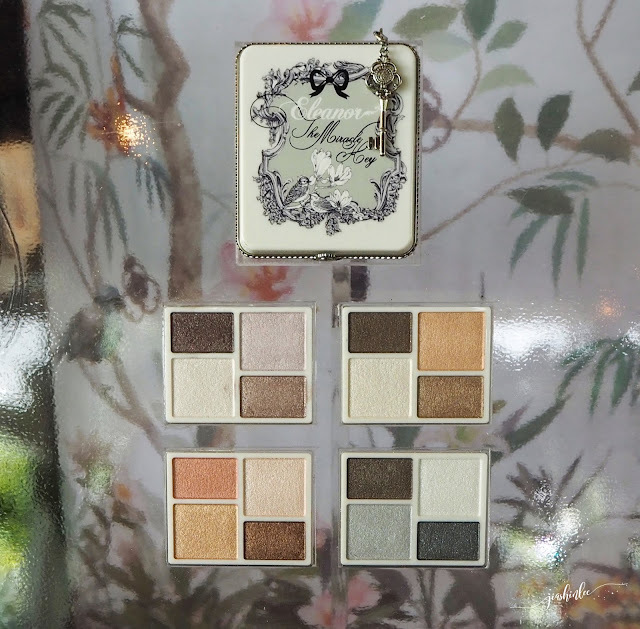 The Miracle Key Attractive Eye is a four-color eye shadow palette, it creates the most natural three-dimensional eyes through colors inspired by natural scenery and the gradation of different lusters. All colors meltingly blend with the skin, and the overlaying exquisite textures accentuate the natural contours of the eyelids for a dramatic look. The Miracle Key Glowing Blusher is designed to be worn alone or blended together, this quad shade palette features specialized colors and textures that create a three-dimensional look. The compact includes a handy brush applicator. Falling in love with the packaging. Soo princess. Wowwww so nice packaging.. So far tak pernah lagi cuba any produk from SaSa ni. complete set for all .. macam-macam ada. Eleanor packaging has captured my attention. Classic and exclusive. Love their lip gloss.